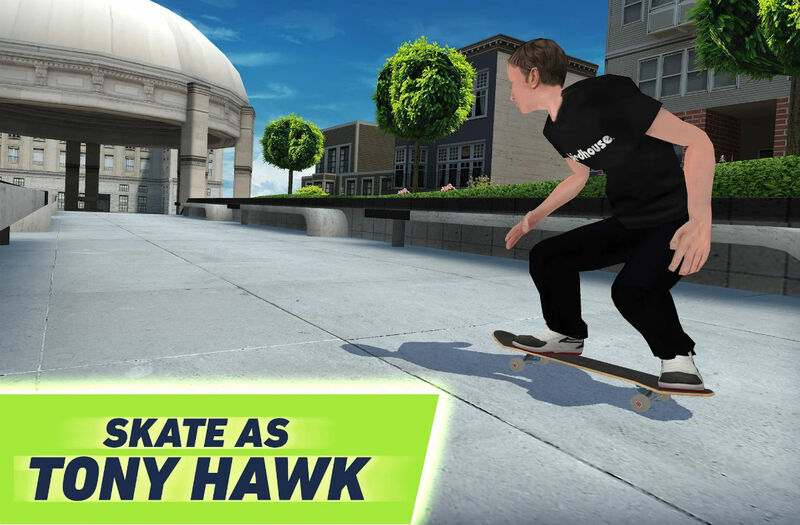 Tony Hawk has a new mobile game with his name on it, but unfortunately, it’s not a Pro Skater for mobile. Instead, it’s called Tony Hawk’s Skate Jam, now up for pre-registration on Google Play. This doesn’t really mean anything, but once registered, you’ll be notified as soon as the game is available for download on Google Play. According to the app’s description, Skate Jam features a classic Career Mode, Global Skate Jam tournaments, various skate disciplines for you to master (vert, street, and park), and dozens of Birdhouse skateboards to collect. Beyond a few screenshots that remind me of early PlayStation graphics, that’s all we know. As soon as we have a launch date to share, we’ll let you know.